A new year is upon us, but I no longer make new year’s resolutions. Because, like I told my son, I believe people can make a change, a fresh start, at any time. And, like I saw from last year, there really is too much I don’t have any control of. Last year, I got sick within the first couple weeks of the new year — a mystery illness that was just the beginning of a very health-challenging year. So this year, I’m trying to stay flexible, or as my son likes to say, “go with the flow.” Because, really, no one knows from one day to the next. In lieu of a resolution, I am designating a focus for the year. That focus is my writing — the personal writing I do here on this blog, as well as the personal writing I send out into the world. (I’m very proud that one of my personal essays will be included in an anthology titled Chronic Illness Truths that will be published later this year). 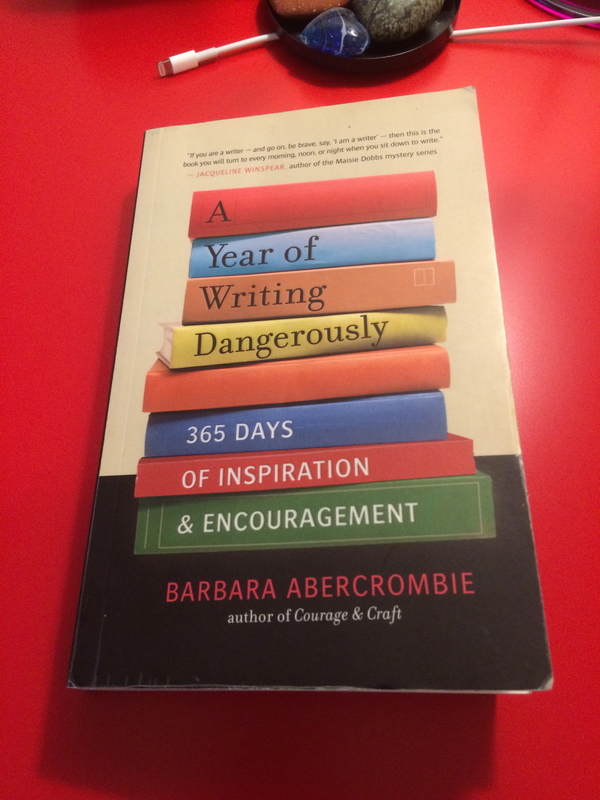 (This quote is taken from Barbara’s book A Year of Writing Dangerously). That is one of the reasons I read. And why I write. Another home run — and it’s not even baseball season! Thank you, John!! Happy New Year!